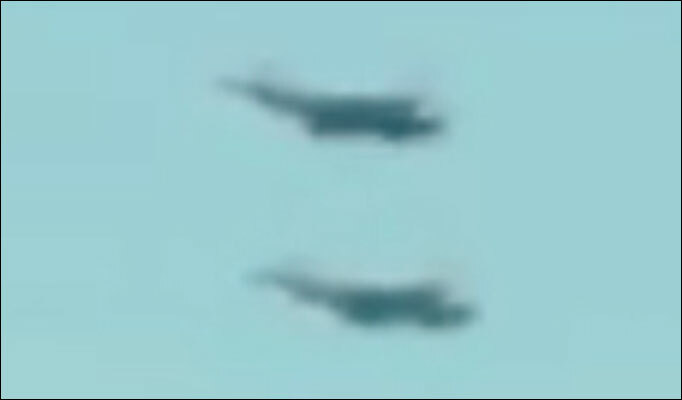 THREE fighter jets were scrambled after frightened residents including British expats spotted a UFO over the Costa del Sol. The F18s and a military helicopter skimmed over the holiday hotspots of Marbella and Estepona at 5am. Witnesses woken by a sonic boom created by the planes reported seeing a “gold, cigar-shaped object”. If anyone knows more about this sightings we would like to hear from you as a reply to this post. We are currently staying on a 10 day holiday in magna marbella which is close to the mountains and the sea, yesterday at around 10 pm my wife called me to the balcony, we both witnessed 2 what look like stars split up and travel a distance apart, it was truly bizarre and I wonder if anyone saw this too?. We are on a 10 day holiday in Marbella, staying in an apartment near the hills and cost at approx 10:30 pm on the 20th my wife called to me on the balcony, there we both witnessed, what looked like 2 stars splitting up at quite some speed the just stopping they were then settled on over the sea th other over the mountains for around 1 HR? Did anyone else see this?..